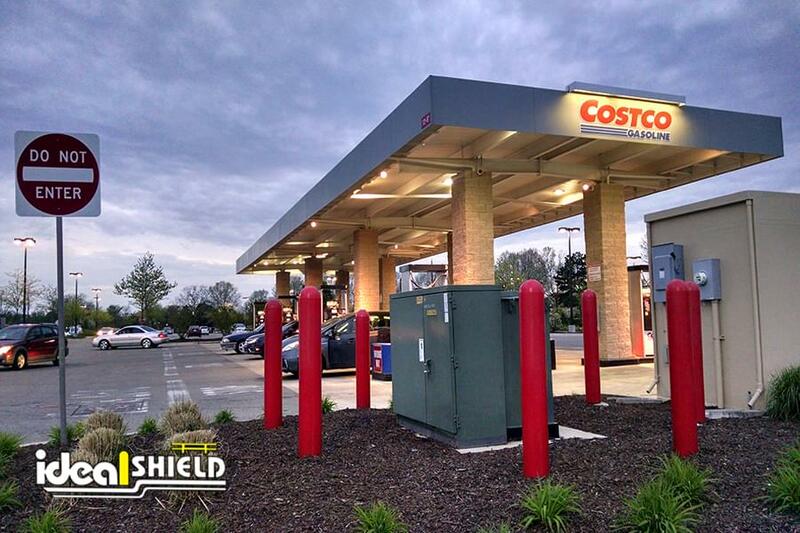 Ideal Shield’s Lighted Bollard Covers are environmentally friendly and cost-effective choice for outdoor application. We’ve created two attractive designs: UV Lighted and Hardwired LED Lighted, to increase safety for any darkened walkway. Available in any color, these long-lasting products do not require paint or any other maintenance efforts. 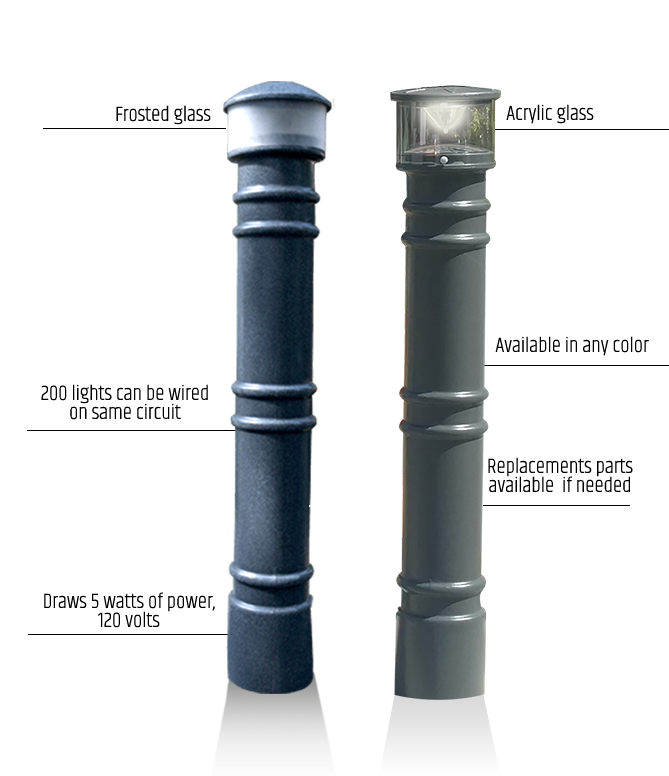 Lighted Bollard Covers provide a touch of elegance, while also increasing vigilance, to any site. Our lighted bollard covers fit over 6” pipe and are made of 1/4” nominal wall thickness polyethylene thermoplastic (LDPE). The light cover is made of clear or frosted acrylic glass. The Bollard Cover measures up to 58” tall, but can be cut to custom heights at no additional cost. The UV Lighted Bollard Cover recharges with daylight, even on cloudy days while the Hardwired Lighted Bollard Cover draws 5 watts of power and can be wired in a circuit up to 200 lights. Our products also include patented installation tape, ensuring a quick and easy fit. No, we do not have minimum on Ideal Shield Bollard Covers. What is the difference between UV and Solar? Our Lighted Bollard Cover requires UV rays which means daylight to charge the cell. Unlike solar, which requires sun rays to charge the cell. That means that your bollards will light at night even on the cloudiest, snowiest and rainiest days.